Huntington Beach is the place to be for beach lovers according to The Telegraph. With 10 miles of uninterrupted beaches, outdoor activities and four oceanfront hotels makes California dreaming a reality. Surf City USA enjoys summer weather year around. With temperatures averaging 75 degrees, the beach is always calling all the beach lovers to soak up the sun. 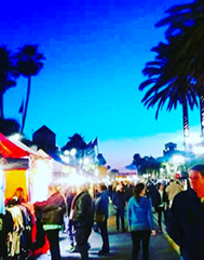 In addition to endless summer weather, Huntington Beach also hosts year-round events, that often revolve around the sparkling Pacific Ocean. Some popular events include: the US Open of Surfing, Coastal Country Jam on the beach, The Great Pacific Airshow and the Fourth of July Parade. In the heart of Huntington Beach sits the iconic Huntington Beach Pier spanning 1,850 feet in length. Our pier allows visitors and locals alike to experience the breathtaking views amidst the sounds of crashing waves and the ocean breeze.